Founded by Sir George Wright to house 8 poor aged women. They were known originally as the ‘Lower almshouses’ and the name ‘Queen Elizabeth’s’ came into being when extra ones were built. 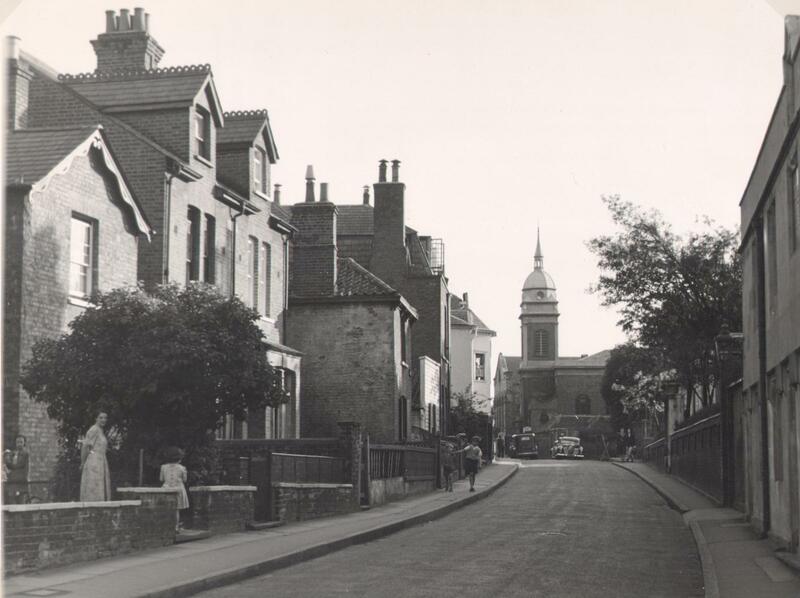 They were built in Petersham Road, a few hundred yards south of Ferry Hill (now Bridge Street). 1767 Rebuilt on present site in The Vineyard. The site was given by William Turner of The Hermitage, Church Terrace, from the Southern end of his grounds. 1841 Census: 8 Almswomen, 4 with nurses and 1 with perhaps her 25 year old grandson. 1851 Census shows 8 widows in residence; one had a visitor and another her daughter as well. 1871 Census: 7 almswomen, one with 32 year-old daughter to look after her. 1881 Census: 8 almswomen, 2 with daughters, one with a grand-daughter, one with a companion. 1891 Census: 8 pensioners, 1 daughter, 1 nurse. 1901 Census: 8 pensioners, 1 nurse. 1911 Census: 8 pensioners, 1 sister. 1955 Rebuilt back from the street with front gardens. 4 larger units were built in place of the 8 previous ones.